Professor Lou Sirico, Jr. – A Tribute. ≈ Comments Off on Professor Lou Sirico, Jr. – A Tribute. I have a collection of favorite legal writing books. Among them is a much-loved, dog-eared, and highlighted book, Persuasive Legal Writing, by Professor Lou Sirico, Jr. Some years ago, I saw that Professor Sirico was co-editor of the Legal Skills Prof Blog, and became an immediate faithful follower. You will find many references to his posts here at this website. His writing speaks for itself. Sadly, this extraordinary man passed away on December 26, 2018 from cancer, and this great loss warrants note and the remembrance by someone who knew him well. With his permission, I share this January 2, 2019 post by Professor James Levy, a long-time friend of Professor Lou Sirico and co-editor of the Legal Skills Prof Blog. It’s been a week since Lou, the co-editor of this blog and a friend and mentor to so many, colleagues and students alike, passed away. I haven’t posted on the blog since then out of respect for Lou’s memory and because I was waiting to find the right words to express what Lou meant to the people who knew him. But after a week I’m still at a loss to adequately describe his contributions. Instead, let me elaborate a bit on my earlier post while sharing some observations and anecdotes that speak to the kind of person Lou was and the many ways he helped others. The first thought that comes to mind when I think about Lou is that he was one of the most authentic, genuine people I’ve ever met. I recently had the good fortune to spend a year as a visiting professor at the United States Air Force Academy in Colorado Springs (where, ironically enough, one of Lou’s former Villanova students was a JAG officer and professor in the law department) and the Air Force officers I met there, who I greatly admired, reminded me a lot of Lou. What they all have in common is their humility, putting service above self, trustworthiness, loyalty and honor. Lou didn’t have much of a social media presence, and he wasn’t one to tout his own accomplishments so many readers might not realize how much he devoted himself to the service of others. From organizing writing workshops that helped colleagues with their scholarship, to taking leadership positions in AALS, LWI and similar groups, to serving as EIC of the Journal of LWI and on the editorial board of Perspectives, Lou was the kind of guy that if he saw an opportunity to contribute to the profession, he was the first to raise his hand to volunteer. On an individual level, if you needed personal or career advice, he would always lend a patient ear and offer his sage wisdom. And he continued to serve others well into the latter phase of his career when most people are either slowing down or withdrawing altogether from such activities. Lou continued to serve others even when dealing with very serious health issues that for anyone else would have been good reason to dial it back. But Lou was always a work-horse and never a show-horse. When Lou made a commitment to something, he meant it and kept his word. Take this blog, for example. When Lou agreed to help me start it in 2010, he was committing to blogging nearly every day for more than 8 years. Think about how many other blogs and bloggers have come and gone in that time. I’d like to think Lou continued to blog all these years, even in sickness, because he enjoyed it or found it satisfying, but I also know that he did it because he was a man of his word who honored his commitments. Related to that, Lou was a man of great integrity as evidenced by his decision to resign from an editorial board in protest over the mistreatment of a colleague. For all these reasons (and more), many years ago I nominated Lou for the Blackwell Award which is given to the legal writing prof who makes an outstanding contribution to the discipline. By the time I’d nominated Lou for the award, I’d known him for more than ten years. During that time, I’d heard some colleagues pronounce his last name “sear-ah-coh,” though I had always pronounced it “sur-ree-coh,” like the famous Watergate judge. Since Lou never corrected me, I assumed I had it right. But during the Blackwell speech I gave on Lou’s behalf at AALS that year, I asked Lou from across the room “have I been pronouncing your name wrong all these years?” Lou sheepishly nodded “yes.” I later realized that Lou would rather endure the mangling of his last name than possibly embarrass someone by correcting them. In other words, another example of Lou putting the feelings of others ahead of his own. When my mother passed away about a year or two after that, I was about to take over as EIC of J. Legal Writing, a job that Lou had also previously done. Lou was the first person I called for advice because I was thinking about quitting. Lou counselled me not to make any hasty decisions about important life choices like jobs, relationships, etc. following a traumatic event like the death of a parent. Instead, he told me to wait at least a year to put some distance between my mother’s death and any decision about the EIC job. During our last phone call several weeks ago, I reminded Lou of that conversation – which he remembered well – and how I’d been able to pay it forward to others in the intervening years. Yet another example of Lou’s continued service. And during our last phone call, I got emotional when Lou said he likely had less than a year due to the cancer diagnosis. Lou reassured me that he’d made peace with his situation and in so doing was clearly trying to protect my feelings a bit too. Tom Brokaw called the generation that fought in World War II the “Greatest Generation” because of their dedication to service above self, being committed to a cause larger than oneself and their collective strength of character. Lou was born too late to be part of the “Greatest Generation” in terms of demographics. But in terms of ethos and the way he lived his life, that’s exactly who he was and why we won’t see the likes of Lou Sirico again. Make Your PDF Document Edit-Proof – Lock It Down! Although I have worked in multiple areas of the law, I cannot think of one in which I did not use Adobe Acrobat. Even if you do not have the latest version, Adobe Acrobat DC (which I love), you need to learn how to “lock” your document so that no one outside of your office can edit it in any way. There is a definite danger in becoming complacent and not staying up to date with technology. Keeping up to date can be expensive. You and others may also have a short learning curve to retrain on new software. But, think about it. We constantly retrain ourselves in the legal world. Court rules, case law, and statutes change, and we are ethically bound to learn and them. I cannot count how many versions of WordPerfect, Word, Adobe Acrobat, or case management software I’ve learned over the years. Retraining is simply a necessary fact of life when you are a legal professional. ParkMobile App – Thank you, Jeff Richardson! ≈ Comments Off on ParkMobile App – Thank you, Jeff Richardson! Challenging a parking ticket with the ParkMobile app, by Jeff Richardson, iPhone J.D. If you work or live anywhere that uses ParkMobile as a replacement for old-fashioned parking meters, you are going to love this. Imagine the ability to pay, add time to your parking meter, or even reserve your parking spot. Mr. Richardson’s post provides more interesting details that you don’t want to miss. ≈ Comments Off on Be A Discovery Ace. Heads Up! Federal Civil Procedure Amendments Effective December 1, 2018. ≈ Comments Off on Heads Up! Federal Civil Procedure Amendments Effective December 1, 2018. The U.S. Supreme Court approved amendments to the Federal Rules of Civil Procedure on April 26, 2018. The new amendments go into effect on December 1, 2018, which is now only a few months away. As usual, new text is underlined; deleted text is struck through. When you review the amendments, I recommend taking the time to read the notes that explain the reasons for the changes. As for the amendment to Rule 5. I suggest that, if you serve a complaint by e-mail, use the email option to show delivery to and/or read receipt by the recipient. Ways to Improve Your Performance. ≈ Comments Off on Ways to Improve Your Performance. Let’s go with the premise that, whenever a supervisor gives you an assignment, you are familiar with office procedures, court rules, or whatever basics you need to perform the work. This post has two sections: (1) questions to ask before starting an assignment, and (2) questions to ask after completion. When would you like me to complete this project? Describe what you have been told to do and then ask: Have I missed anything? How many hours are you expecting me to take on the project? Are there any materials I should review? Would it be helpful if I gave you my initial findings/conclusions? Have I covered all the areas you wanted? Is there anything more I can do to help you with this? Can you give me some feedback on my work? Are there any areas where you think I could improve? Insurance Company Must Defend Contractor Regardless of CGL Policy’s Breach-of-Contract Exclusion. ≈ Comments Off on Insurance Company Must Defend Contractor Regardless of CGL Policy’s Breach-of-Contract Exclusion. Normally, an insurance company has no duty to defend a contractor under a construction general liability (“CGL”) policy against breach-of-contract and negligence allegations. Not this time. This time, in the Western District of Texas, the insureds won against the insurance company. The court held the breach of contract exclusion did not apply because the contractor’s subcontractor, not the contractor, could be responsible for a construction defect. A municipality hired the general contractor to construct a sports complex that included a swimming pool, baseball and softball fields, and parking lots. The contractor hired two subcontractors – one to design and build the swimming pool, and another to do all the dirt work, grading, and storm drainage for the entire complex. At the beginning of 2017, a contractor employee saw cracks beginning the pool and parking lot after completion of the pool and most of the sports complex. The contractor put the pool subcontractor on notice to fix the cracks. About three months later, a contractor employee noticed the cracks were worse. The contractor and the pool subcontractor were unable to agree on how to fix the pool. By the end of the year, more cracks and other defects had appeared. The city, contractor, and subcontractors could not agree on how to solve these problems. The city sued the contractor for breach of contract and negligence. The contractor notified its insurance company and, relying on its CGL policy, asked its insurance company to defend it against the city’s lawsuit. The insurance company refused. It sued the contractor requesting a judgment declaring that it had no duty to defend the contractor in the lawsuit filed by the city based on the CGL exclusion clause. The insurance company relied on language in its policy that specifically denied coverage to the contractor for property damage caused by the contractor. In it its lawsuit against the contractor, the city had specifically alleged that work performed by the contractor and its subcontractors was defective. The insurance policy’s exclusion did not apply to work performed by a subcontractor. The court held that, because the city’s allegations included the possibility that subcontractor alone had created the defects at issue in the city’s lawsuit, the insurance company had a duty to defend the contractor. A $10 Million Punctuation Mistake. ≈ Comments Off on A $10 Million Punctuation Mistake. Which of these two sentences look right to you? I need a pen, my notes, and a legal pad. I need a pen, my notes and a legal pad. The first sentence includes the Oxford comma, sometimes called the “serial comma.” If you do not already use it, you may ask why bother? It is about clarity versus ambiguity. In this case, the Oxford comma made all the difference. The employer argued the employees did not qualify for overtime because “packing for shipment” and “distribution” were two different things. The employees argued that, without the comma before the “or,” they should be paid for both. The court agreed with the employees. The language determining overtime pay was ambiguous because of the missing comma. How much did this missing comma cost the employer? Approximately $10 million. Proper punctuation matters, especially in legal writing. ≈ Comments Off on The ABA’s Web 100. 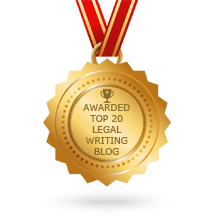 Every year for the last decade, the ABA has solicited votes for nominations for the favorite law-related blog. Those chosen based on your nominations become the Web 100 for that year. 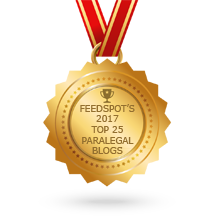 Over the years, it’s expanded to include other law-related technology, and added its own Blawg Hall of Fame. It’s definitely worth a look to rediscover old favorites and others goodies you might have missed. Are You Happy with LexisNexis’ Ethics, Marketing, and Lexis Advance? AALL Isn’t. ≈ Comments Off on Are You Happy with LexisNexis’ Ethics, Marketing, and Lexis Advance? AALL Isn’t. If you have not noticed, there is a growing controversy with LexisNexis’ ethics and marketing practices. This affects all law schools, paralegal educators, and law firms that subscribe to LexisNexis. For a bit of the back story, see LexisNexis’ Next-Generation Solution Means End of Lexis.com at http://www.lawsitesblog.com/2016/12/last-rites-lexis-com-lexisnexis-sets-date-shutdown.html. Here is more to the point from Joe Hodnicki, who has been closely following the dialogue between LexisNexis and the AALL: https://llb2.com/2018/06/15/early-coverage-of-aall-lexisnexis-anticompetitive-tying-controversy/. A Guide to E-Discovery Terms. ≈ Comments Off on A Guide to E-Discovery Terms.